Is fatigue, insomnia and bouts of headaches all a typical part of your day? Then you’re not alone, as the majority of UAE residents are blaming the stress on their jobs. An up to-date article from Mariam M. Al Serkal, Senior Web Reporter Gulf news very informative and publishing in my blog.Stress can turn its ugly head your way due to a number of factors, but the health risks rise when the level of intensity increases when its not only about the daily stress of rushing to meet deadlines or arranging meetings with your child’s principle, but one that turns into the grinding stress that wears you away – day after day, year after year. According to UAE residents who took part in the ‘Top Industries in the Middle East and North Africa’ survey, construction emerged as the most stressful industry, topping the list with 30 per cent of respondents. 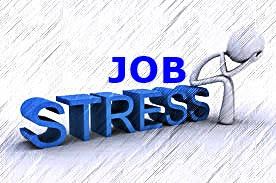 Banking and finance sectors, as well as the oil, gas and petrochemicals were also viewed as stressful industries by 24 per cent and 18 per cent of respondents respectively. The construction industry also ranked in first for the longest working hours for a third of UAE respondents, followed by the hospitality and tourism sector at 25 per cent. Experts are advising residents not to jump the gun when it comes to taking prescription drugs to beat anxiety or stress. Addictive medication, such as Valium and Xanax, which are commonly prescribed to combat stress can cause withdrawal reactions – especially if used regularly for a long time or in high doses due to its ingredient benzodiazepine. Dr Yaseen Aslam, consultant psychiatrist and medical director of The Lighthouse Arabia, said that he tries not to prescribe such addictive medication to patients, but instead, offer varying forms of anti-depressants such as SSRIs (selective serotonin reuptake inhibitors) and SNRIs (serotonin-norepinephrine reuptake inhibitors). “People with anxiety are not assessed properly at the initial stage, which may lead to some doctors to quickly prescribe them with Xanax. It is not the ideal drug because it can cause dependency and with time, people grow a tolerance it,” he said. Stress affects different personalities in varying forms but there are some common tale-tell signs to watch out for, before reaching the chronic stress level. “The coping skills of people these days are generally less than it used to be, and particularly with the expat population, people find it hard to make valuable relationships that can replace their siblings or parents,” said Mary John, a Dubai-based consultant clinical psychologist. The warning signs leading up to a severe level of stress are fatigue, sleeplessness, loss of appetite and mood change, and they may be either sad, unpleasant or angry. “The real stress begins when your mind starts exaggerating what the real issue is about. By building up on that, your brain then focuses only on the negative impact, which can lead to a collapse of self-helplessness and start making the wrong decisions,” she said. Talk to a friend or colleague. By discussing options with someone you trust, the serotonin (also known as the ‘happy chemical’) in the brain will make you feel relaxed and hopeful. Get some exercise. A minimum 30 minute can release endorphins into your bloodstream, making you feel relaxed and happy. Meditate. You can either meditate alone or with a group. As thoughts and distractions intrude, gently push them away and return to your focus.